Making the transition from old school wedges to in ear musicians monitors couldn’t be easier than with the Westone UM Pro 10. 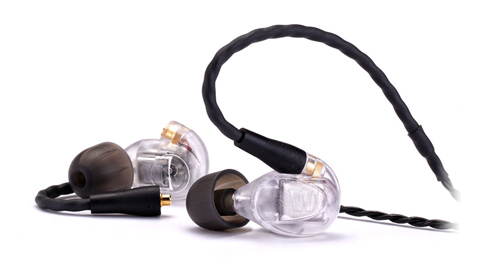 Utilizing Westone’s single-driver balanced armature technology, these hand built universal fit monitors are the best way to not only protect your hearing while on stage, but realize the detail and clarity only an in ear monitor mix can provide. The Westone driver is ultra accurate for the most dynamic sound reproduction in a universal fit in ear monitor whilst the cable is an ultra supple braided design to ensure maximum comfort and resistance to tangles - An over-the-ear design offers superior in ear comfort and isolation from mechanical cable noise.